Hey there sci fi geek! 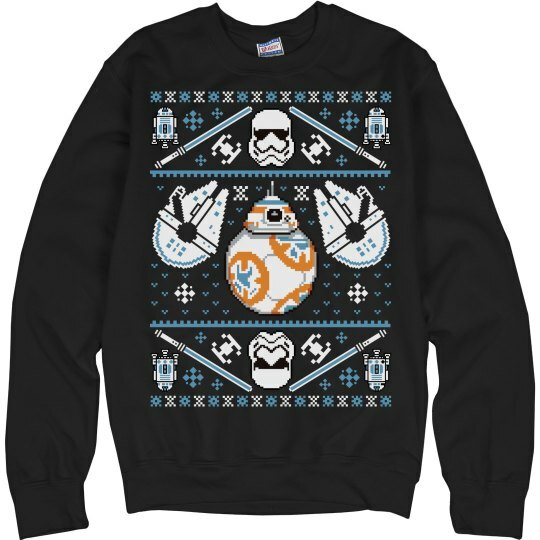 Show your excitement for the intergalactic space odysseys and get this cool droid ugly Christmas sweatshirt that has light sabers on it. May the force be with you.